1821 The first iron steamship, Aaron Manby, named after the proprietor of the Staffordshire ironworks at which she had been made, was completed. She weighed 116 tons and after trials on the River Thames made her maiden voyage across the Channel. 1938 The FA Cup was televised on British TV in its entirety, for the first time. The TV audience was estimated as 10,000. Preston played Huddersfield Town and Preston won in the last minute of extra time. 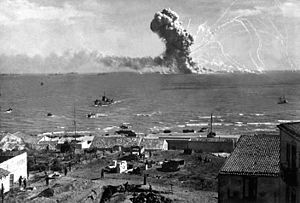 1943 The body of a mystery man (planted with false invasion plans) was used by Britain to fool Nazi Germany into defending the ‘wrong’ regions of the Mediterranean, aiding a successful invasion of Sicily. 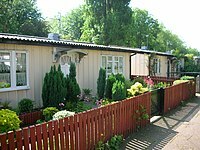 1944 The first of 500,000 prefab homes went on show in London. They were designed for demobilised servicemen and bombed-out families and consisted of 2 bedrooms, a living room, bathroom and toilet and kitchen on one floor. They covered an area of 616 sq ft and were built by the motor industry. 1945 Nazi leader Adolf Hitler committed suicide. Before beginning his assault on Europe, Hitler had assured his followers that the Third Reich would last for 1,000 years. His mistress, Eva Braun, whom he’d married the day before, died alongside him after taking a cyanide pill. 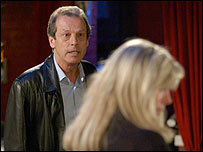 1947 The birth of Leslie Grantham, English actor best known for his role as “Dirty” Den Watts in the soap opera EastEnders. 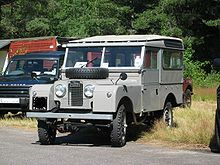 1948 The Land Rover was introduced at the Amsterdam Motor Show. 1952 The British public got the chance to read ‘The Diary of a Young Girl’, written by Anne Frank who hid from the Nazis in Holland during the war. 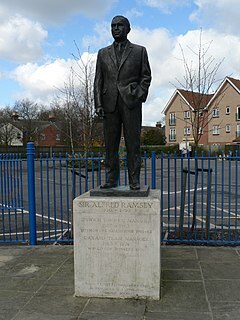 1974 England’s football manager Sir Alf Ramsey, manager of the England team which won the World Cup in 1966 was sacked, after 11 years as manager. 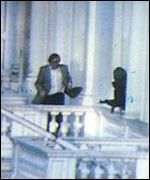 1980 Armed terrorists seized the Iranian Embassy in London taking 20 hostages and threatening to blow up the building. 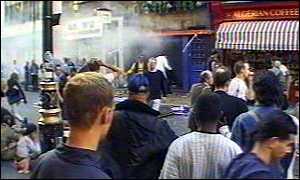 1999 Two people were killed and at least 30 injured in the third nail-bomb attack in London in two weeks. The bomb went off in a public house in the heart of London’s gay community. 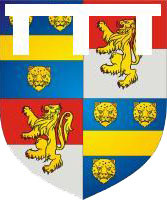 2009 The Met. Office forecasted ‘odds on for a barbecue summer’, with no repeat of the washouts of the previous two years but ….. average rainfall for the summer was up 40%.